The first sniff of this perfume feels peppery, but powdery at the same time. The perfume’s name refers to the eleventh hour of mankind. Byredo says that the scent is an exploration around the smell of things ending, and the last perfume on earth. 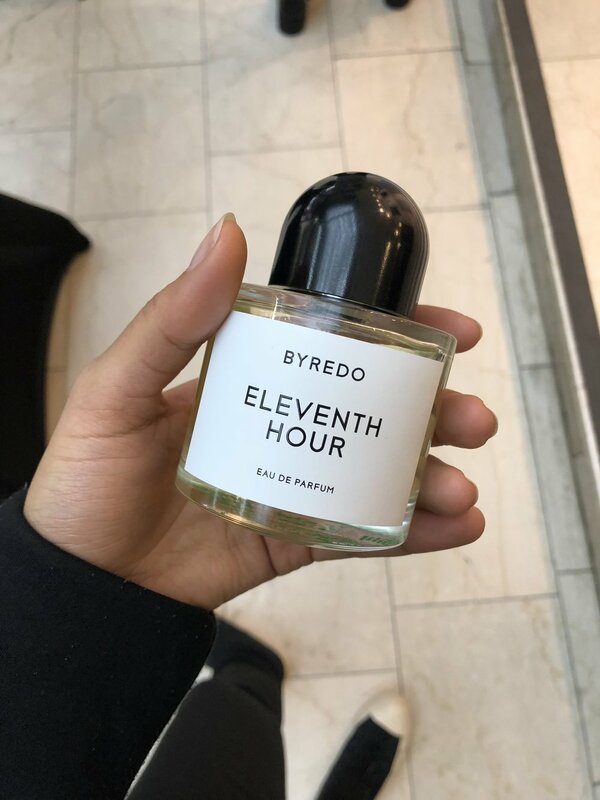 Despite its sinister back story, no melancholy detectable in this one – Eleventh Hour’s smell is the kind that will blend into your skin as time goes by, only leaving a faint whiff of something powdery, soft and warm. It feels like a really luxurious cashmere sweater, more than something born out of chaos. When you require softness, wrap this invisible, velvety cape around your body. A nice contrast between something a bit spicy (dry spices), and something very soft. For those who enjoy more understated scents.